PET-CT is a combination of two established imaging modalities to reveal both the structure and function of cells and tissues in the body, in a single device. Disease can then be identified and localised, potentially resulting in earlier and more accurate diagnosis. PET-CT scans also indicate whether the disease is responding to treatment. The brand new 5-rings DiscoveryTM IQ in Beacon Hospital delivers the best possible patient outcomes through excellent image quality and consistent quantitation. Cancer: Lung cancer, breast cancer, oesophageal cancer, thyroid cancer, testicular cancer, ovarian cancer, colorectal cancer, lymphoma, melanoma & brain tumours. It provides accurate disease staging and monitoring. Heart: Myocardial viability – A form of non-invasive stress test to help determine the presence and extent of coronary artery disease. Brain: It can identify types of dementia using the study of the blood flow and metabolic activity in the brain. It can also identify certain neurologic and central nervous system disorders that are localised. • High Accuracy – Up to 2x improvement in PET Quantitation Accuracy (SUVmean). • Fast Scanning – Scans in half the time, thus reduce patient’s discomfort having to lie in the machine for quite some time. • Reduced Dosage of Radiotracer – Requires only half of a typical dose, thus, lowering the patient’s exposure to radiation. • Outstanding Image Quality – Delivers outstanding image quality, including in the signal starved areas like shoulders, hips, areas with metal and in larger patients. 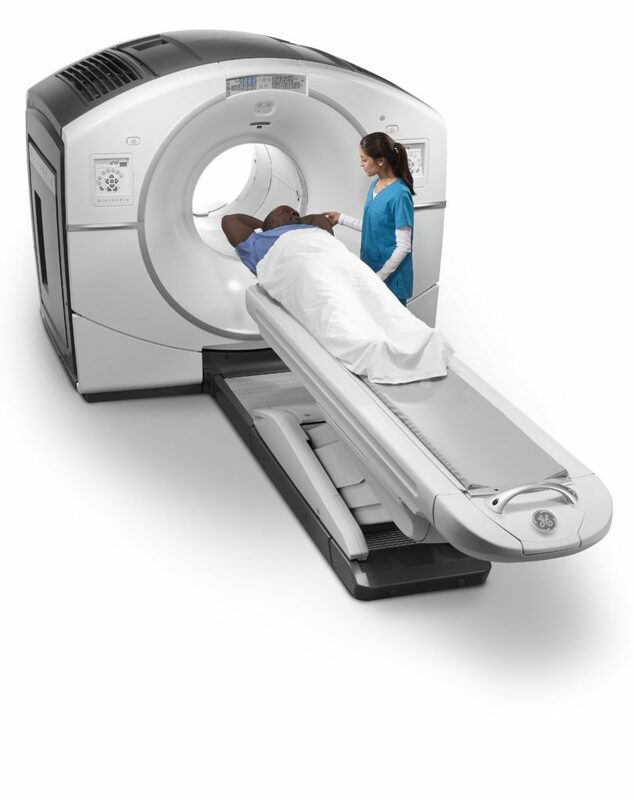 • Improved Patient Comfort – Full organ imaging in the fewest possible bed positions with one-third scan times *. • Short Breath Hold – A thorax respiratory scan can be achieved in as fast as four minutes. • Do inform us beforehand, if you are diabetic or claustrophobic. • Do consult your oncologist, if you are on IV drip (glucose/lactose/dextrose drip) as it should be stopped a day prior to scan. • Do let us know if you have a medical problem that may affect your ability to lie still for up to 1 hour. • If sedation is required, you are to bring someone with you and prior arrangement for transport should be made. • Confirm at least a day before your scheduled appointment. • It is advisable not to engage in strenuous muscular exercises at least 2 days before the scan. • Fast at least 6 hours before the scan (Plain water is allowed). • All other medications should be taken prior to the scan. However, DO NOT take the morning dose of the diabetic medication before the scan. • Please bring along your medications and all your recent radiological films and reports. • Please arrive at our centre 30 minutes earlier to register and make payment. • Pass all your recent radiological films to the radiographer. ~ Administer a sedative/muscle relaxant/diuretic. ~ Place a urinary catheter to the bladder for the duration before the scan. ~ Administer a tablet to limit bowel movement. • You will be taken to the injection room. A small blood sample for glucose assessment will be taken and a small intravenous cannula will be inserted. Both the blood test and the injection are necessary components of this study. • You will then be injected with fluorodeoxyglucose (FDG) and asked to rest for about 45 minutes to 1 hour. This allows the tracer to spread through the body. If cancer is present, the tissue in that area will show abnormal level of tracer absorbance compared to a normal tissue. • The PET-CT scan will take approximately 10-15 minutes depending on the diagnosis, areas being scanned and findings discovered. • You will be isolated for another 30 minutes, after the scan. Light refreshments will be served during this isolation period. • Drink plenty of water after the scan. The PET-CT report will usually be ready within 48 hours. You will be once the report is ready. It is a radiotracer called 18F – fluorodeoxy-glucose (FDG), with chemical structure similar to glucose. ii) How does 18F-FDG & PET-CT work? Before the PET-CT scan, a small amount of 18F-FDG is injected into the patient. Malignant cells in the body will usually accumulate 18F-FDG due to their high rate of glucose metabolism. This will be reflected in the PET-CT scan images as the machine detects the radiation emitted by 18F-FDG and produces coloured images of the body to show both normal and abnormal tissue. iii) Does this PET-CT scan require hospital admission? 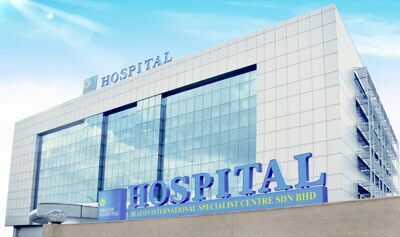 No hospitalisation is needed as it is an outpatient procedure. iv) Is this PET-CT scan safe? It is safe because the amount of radiation you are exposed to in a standard PET-CT scan is small. v) When can I resume my daily activities after undergoing the scan? You can resume your daily activities, unless the doctor tells you otherwise. Avoid having contact with children or pregnant women for minimum 6 hours, after the scan, as they will be sensitive to the effects of radiation emitted from your body. The radiation will pass out naturally from your body, usually within a few hours. Drinking plenty of water helps in flushing it out.